Quickie Summary: State “Trunk” Highway 144 is a short drive that takes you between the speedway around Slinger, through downtown West Bend and along eastern areas near Kettle Moraine before connecting with Highway 57 in Random Lake. A good afternoon hop for northern Milwaukee area residents. The Drive (North to South): Highway 144 begins at the increasingly busy Highway 57 corridor in Sheboygan County and ducks right away into Random Lake (pop. 1,551), first angling past the northwest edge of the 209-acre lake – which is apparently is Random, not specific – and around the north and west sides of the town itself. You can access the heart of Random Lake using several side street turn-offs. The village’s website claims no “fast food”, stoplights, parking meters, billboards or strip malls. 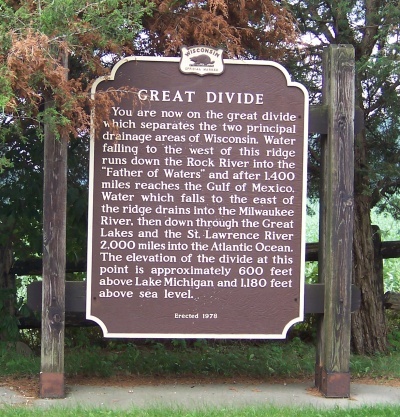 And there aren’t may of those for the next several miles, either, as Highway 144 continues west, over the North Branch of the Milwaukee River and to Highway 28, which it joins for the ride into Washington County. Just past Boltonville (no, it’s not named after Michael Bolton – it was named after Harlow Bolton, their first settler), Highway 28 breaks off and heads west toward Kewaskum, while Highway 144 charges toward the county seat, West Bend. A neat stop, however, would be Lizard Mound County Park. The Park is a prime example of remaining effigy mounds in Wisconsin, built by Native Americans over 1,000 years ago… some date back about 10,000 years. Effigy mounds were typically built over burial pits and often shaped like mammals, birds or reptiles. Considered one of the best preservations of such ancient mounds (there are about 28 of them), Lizard Mound County Park can be accessed via County A, less than one mile east of Highway 144. A number of highways become the namesake for roadside bars, and Highway 144 is no exception. 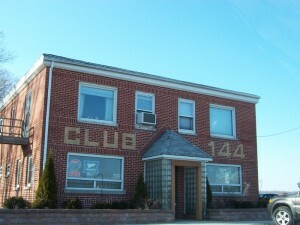 Club 144 is located just north of West Bend, right near County A where you can access Lizard Mound County Park. 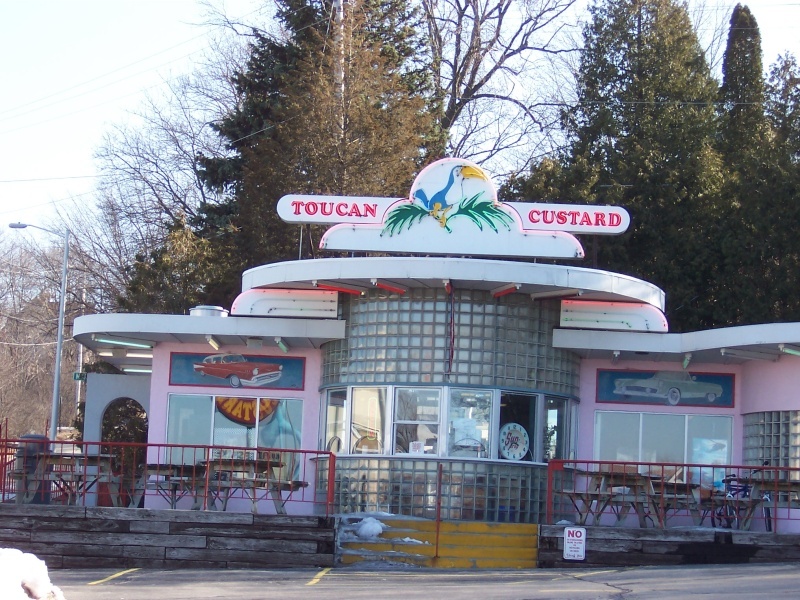 Entering West Bend on Highway 144, you’ll encounter the shiny chrome, 50’s decor and rich dairy and diner goodness of Toucan Frozen Custard. A classic stop on a State Trunk Tour-type drive. Shortly after that you enter West Bend (pop. 29,612), the largest city on Highway 144 – and one of the only, for that matter. Highway 144 enters from the northeast as Barton Street, past a series of lakes like Wallace, Lenwood and Allis (144 hugs a lot of lakes from here on out) and joining Main Street (once U.S. 45) for the ride into downtown. 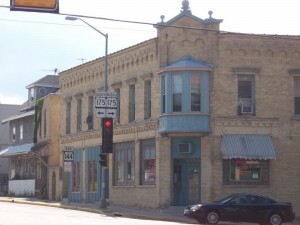 West Bend has a beautiful and extensive downtown district. A wide variety of shops, the West Bend Theater and a slew of 19th century brick architecture – several holding notable jewelry stores – await. It’s a great place to spend a chunk of time shopping and just enjoying the day. Art lovers will take note of the Museum of Wisconsin Art, (aka the “Artist” formerly known as the West Bend Art Museum) (300 S. 6th Ave., 262-334-9638.). The museum as it is now holds a sizeable collection from Carl von Marr and a unbelieveable doll house – seriously. Walter Zinn, who had a malting company way back when, started building a doll house for his daughter Lenore in 1911 for her fifth birthday and just couldn’t stop. By 1957, he had developed a 27-room mansion of a doll house that contains over 1,200 miniature items, including artifacts brought back from overseas trips. On the next block, the Washington County Historical Society (320 S. 5th Ave., 262-335-4678) offers museum fun in their 19th century courthouse and a jailhouse. The Society also operates the St. Agnes Historical Site nearby, which features homestead sites built between 1856 and 1878 that are well-preserved. Appliance lovers will love the Regal Ware Museum (18 E. Washington Street), located right on Highway 33. Since 1911, West Bend and “suburb” Kewaskum have been meccas for the manufacture of small cooking appliances and utensils. The name “West Bend” has peered out to users of blenders, mixers, and utensil users everywhere for decades. In 2002, Regal Ware (which started in Kewaskum in 1919) took West Bend over and, despite being worldwide conglomerate, continues to manufacture items in the area. So what can be exhibited at such a place? How about the world’s first whistling tea kettle? Or inventions that never quite made it to market, like the electric pizza cutter? Kitchenware products throughout the decades – reflecting everything from elegant styles to fashion eras some may wish to forget – are on display at this new and rather unique museum. Built inside a former credit union, the Regal Ware Museum is the only museum in the nation with an operable drive-thru window. Check out a YouTube video of the museum here, made by somebody we stumbled upon. At downtown West Bend, Highway 144 turns west along Washington Avenue, hooked up with Highway 33 for the ride through a sea of commercial development and a junction with U.S. Highway 45, which on now on a freeway bypass of the city. West Bend’s growth continues along Highway 144 & 33 to the west toward the turnoff southward where Highway 144 heads south for a nice run along Cedar Lake. At this point, Highway 144 is part of the Kettle Moraine Scenic Drive. Big Cedar Lake, carved out from what has been described as a “rare glacial force”, this popular 932-acre lake stretches for about 4 miles along Highway 144. Big Cedar Lake has its own Yacht Club and even its own song, a waltz written in 1909. How many lakes can say that? And yes, you can count Lake Superior with that Gordon Lightfoot song. Just south of Big Cedar is a major crossroads, I-41. 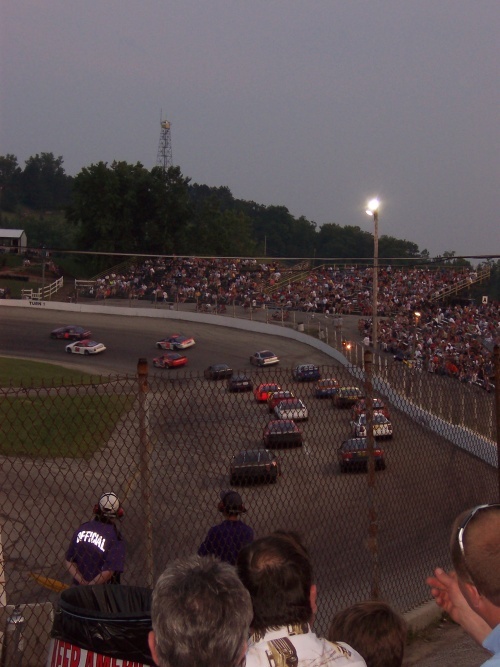 Several points of interest lie on the other side, including Held’s, a great place to stock up on Sconnie eats like cheese and beef jerky, Little Switzerland Ski Area, featuring 15 runs and 5 chair lifts; and Slinger Super Speedway, known as the World’s Fastest Quarter Mile Oval. All of this greets you on Highway 144’s final destination, Slinger (pop. 4,109). Originally called “Schleisingerville” (fer cryin’ out loud), Slinger developed as an outpost village perched at the edge of Kettle Moraine. And as Highway 144 goes into downtown, it’s still part of the Kettle Moraine Scenic Drive. Today’s downtown Slinger is marked by the intersection of Highway 175 and Highway 144’s terminus. A lot of fantastic stone construction is evident in the surrounding buildings. Check it out! Highway 144 may terminate in Slinger, although the road continues south through town to connect with Highway 60 if desired. Meanwhile, Highway 175 will connect south toward Milwaukee and north toward Fond du Lac. Or, you could just relax in Slinger and enjoy it for a while. Remember, State Trunk Touring is about enjoying these towns! 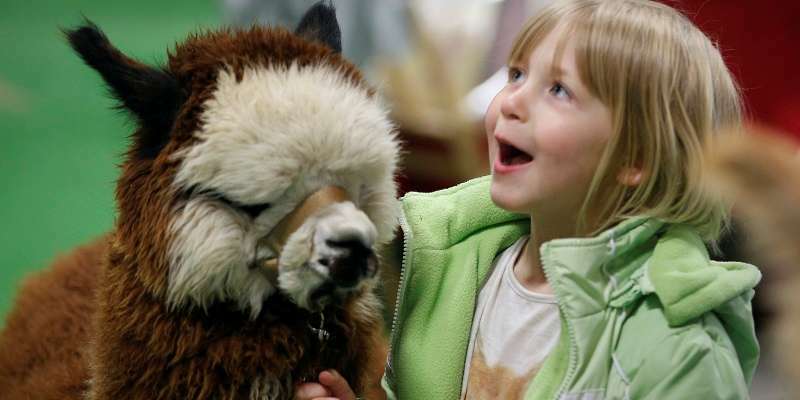 If you're an animal lover, you love working with different fibers, or are just looking for a free, family activity with over 300 alpacas, head to West Bend for the Wisconsin Alpaca & Fiber Fest! WisAFF is the premiere alpaca halter and fleece show in Wisconsin. Throughout the weekend, alpacas will be on display in the show ring. This are also fleece shows, fiber arts contests, a spin off, fiber classes, and seminars for people interested in alpacas. There will also be many vendors selling fiber and alpaca themed items. NEW FOR 2019 WALKING FLEECE SHOW, with Sara Jane Maclennan serving as the 2019 walking fleece judge. Wisconsin Alpaca & Fiber Fest admission & parking are both free! 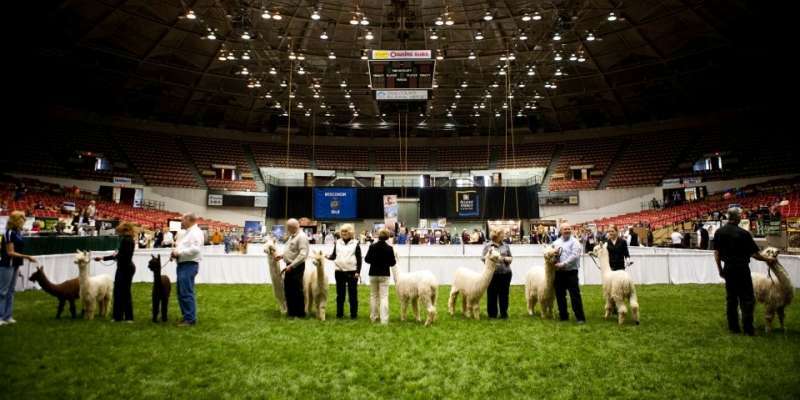 Saturday, April 27th, 2019 7:00 AM – Doors Open for exhibitors 8:00 AM – Halter show opens 8:30 AM – Show opens to public. Free Parking! 8:30 AM – Vendors open in lobby, Ziegler building and Pavilion 9:30 AM – Halter show photographer set up 10:00 AM – Spin-Off Display opens. Good luck! 1:00 PM – Bar opens in Ziegler building 5:30 PM – Alpaca Halter Show ends for the day; building closed to public 7:00 PM – Bar closes 7:30 PM – Breeder’s Reception and Dinner at host hotel (invite only) 8:00 PM – Buildings close for day Food and refreshments will be available for purchase all day long in the Ziegler building. We are pleased to have Washington County 4-H provide our food. Sunday, April 28th, 2019 8:00 AM – Halter show begins 8:30 AM – Open to public, free parking 8:30 AM – Vendors open in lobby, Ziegler building and Pavilion TBA – Production Classes – Breeder’s Best, Get of Sire, Produce of Dam, Showmanship, then balance of halter show classes 9:30 AM – Halter show photographer set up 1:30 pm Spin-Off Display and Fleece Show end. Owners may pick up items 3:30 PM Show closes to public You'll find the Washington County Fair Park & Conference Center just off U.S. 45 on County PV (Pleasant Valley Road.) Highway 60 is just to the south, Highways 33 and 144 are just to the north in West Bend. 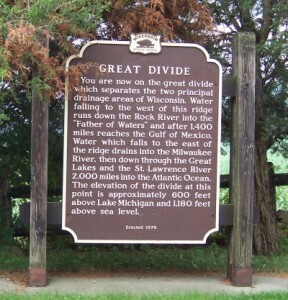 • The original 1923 designation of Highway 144 included its current route between West Bend and Random Lake. It used to head further east.